The property is nestled in a large wooded lot between 2 very exclusive resorts and lakeside chalets. The front of the house is mostly glass soaring over 12', giving unobstructed lake views from the master bedroom, living room and kitchen. Cozy fireplaces are in both the bedroom and living room. The house has just undergone 3 years of renovation including hardwood floors, travertine bathroom, spanish tile in living room and kitchen, solid mahagony kitchen cabinets..and beautiful garden. I knew that I wanted to live here the moment that I saw the house. The views are spectacular and the lifestyle fit what I had been looking for as a retreat. Lovely, cozy and comfortable house with a sublime view! I spent 5 days at the house with my husband and two daughters and we had a great time. The house is pretty, well appointed and comfortable and sitting on the terrace enjoying coffee in the morning or the stars at night was a lovely way to start 2019. Highly recommended! This house is cute and clean, well furnished and stocked, and has a stunning view from all the rooms as well as the terrace. It has a beautiful and spacious open plan, and a lovely garden. Best suited for a couple, or maybe a couple with one or two small children. Nice bathroom with plenty of hot water. Both the internet and TV worked great. We thoroughly enjoyed our stay and look forward to going back! My husband & I spent a week here & really enjoyed it. It was lovely, quiet and secure. The owner, the U.S. expat manager, and the Mayan caretaker were all helpful. The owner went out of his way to get a hammock and a place outside to hang it before we got there, and fruit, flowers and Guatemalan coffee welcomed us on arrival. The pictures of the decor and the views are all accurate. The house sits midway up a high hill, so be prepared to climb some steps up to it. 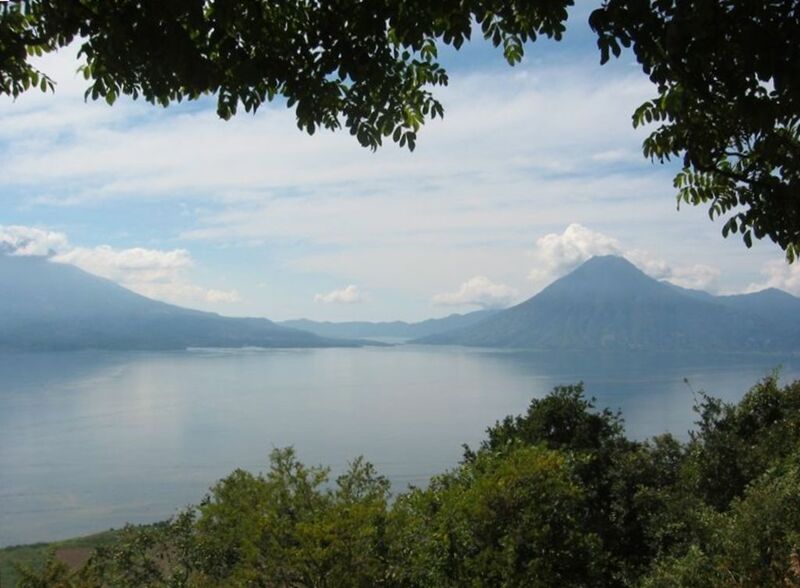 It's so high you don't have to draw the curtain on the huge bedroom window at night so you can see the lights of the Mayan villages around the lake and when there's a moon you can see Volcan San Pedro directly across the lake--really stunning. The master bed was VERY comfortable. The shower in the beautiful and newly redone bathroom was terrific with good pressure and plenty of hot water. Things were clean and orderly and we had what we needed to make simple meals. The kitchen cabinetry is rustic; some of the drawers don't open & close smoothly and the dish towels stored there smelled a little musty, probably because July is rainy season & humidity was high. The pots & pans are stored down low, and they looked like they hadn't been used in a while; I washed them before I used them. The house was always comfortable--not too hot or colo; we enjoyed a fire in the bedroom fireplace one night. There's a washer in a separate building a few steps from the house & when it was rainy, the caretaker took things to a dryer up the hill for us. We were without internet access for the first few days; if you need it, you'll want to make that clear. There were a couple of interesting and helpful books about the area. On request, the owner and manager gave us info about transportation, drivers, restaurants and things to see; a sheet with this info and important contact numbers all in one place would be a good addition to the welcome gifts. There are 2 nice restaurants nearby. Taxis and tuktuks pass by the house only rarely, and it's a 10 minute walk to the small town of Santa Catarina Palopo, where you can find one to take you to Panajachel. We usually took colectivos (tarp-covered pick up trucks with benches in the truck bed). We speak Spanish and are adventurous; if you don't want to climb into a pick up bed, plan to rent a car or get the name of a driver to call. We liked the place and would recommend it to friends.